This fall, North Carolina Sea Grant co-sponsored “Radical Transformation of Our Seas: Stories from Fisherman’s Blues,” an event to explore global views of fishing and seafood. Author Anna Badkhen read from her new book, an intimate account of life in a West African fishing village. Ryan Speckman, co-founder of Locals Seafood in Raleigh, joined her to help compare experiences on the Atlantic’s east and west coasts. Jane Harrison, North Carolina Sea Grant’s coastal economics specialist, moderated the discussion. Top: For centuries, fishermen have launched their pirogues (narrow canoes) off the Senegalese coast, where villagers still tell stories about the days when fish once were large and plentiful. Photo by Jane Harrison. 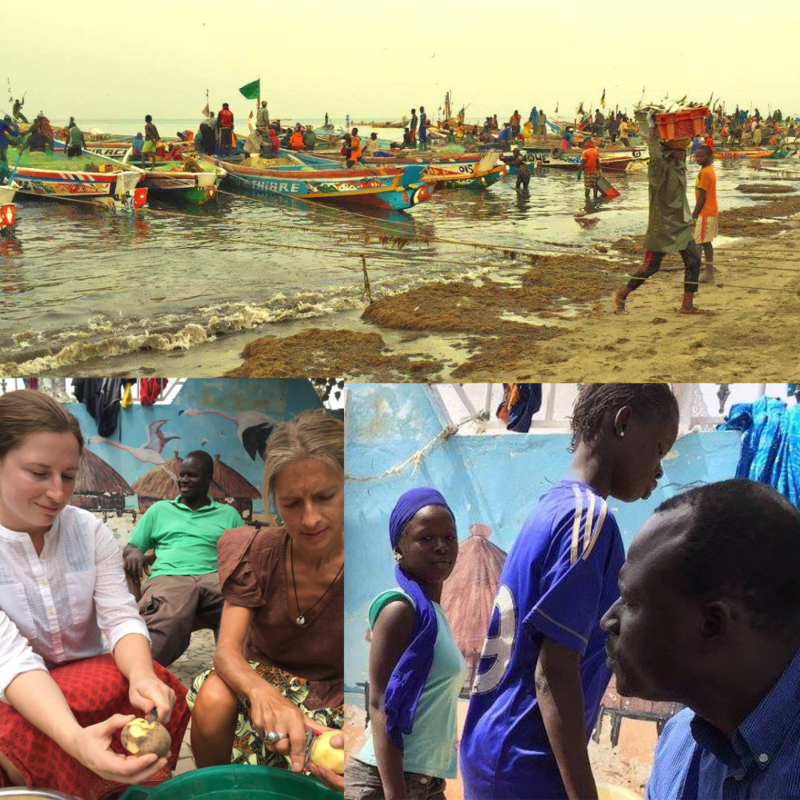 Bottom left: Harrison (left) first met Badkhen (right) in Senegal while the author was immersed in a coastal village’s fishing culture. Abdou Karim Sall, Badkhen’s host and fisherman, sits in the background. Photo by Lillian Dunn. Bottom right: Badkhen’s translator, El Hadji Faye, was instrumental in helping her discover village tales to carry across the Atlantic. Photo by Jane Harrison.